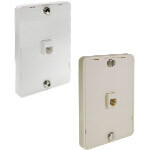 These Wall Plates are the popular "Smooth" finish and come in a variety of jack configuration and colors. 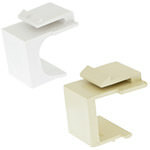 Keystone blank inserts are the perfect solution for covering up any unused keystone ports and are compatible with any patch panel, wall plate, Decora-insert, or surface mount box. 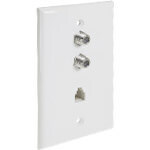 The Single Gang 2 F-type and RJ11 connector wall plate allows for multiple connections to cable and telecommunication applications and neatly organizes into one single plate. 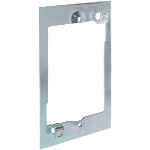 The RJ11 wall plate fits into any electrical box or mounting plates and houses any standard RJ11 phone cables. This Single Gang Mud Ring fits inside of wall openings and allows for a 5/8" raised design on the inside. 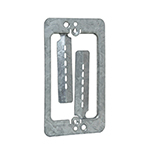 These Single Gang Mud Rings will mount flush inside drywall and have a steel construction for increased strength.